Your Tbilisi guide and driver will meet you at 9 am at the lobby of your Hotel to start the journey to the Georgia’s ancient capital town called Mtskheta. This one day tour program will start with the drive to the legendary and beautiful Jvari Monastery – one of the major symbols of the Christianity in Georgia. Jvari is located on top of the mountain from where opens an amazing view over the Mtkvari and Aragvi rivers conjunction, as well as Mtskheta itself. Drive down to the town, visit the Svetitskhoveli Church. 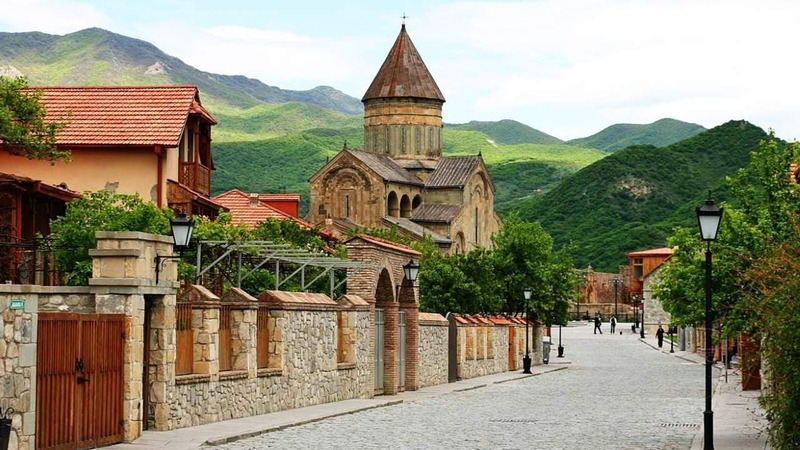 Continue the day tour by having lunch in Mtskheta, and return to Tbilisi. Second half of the day Tbilisi tour will include the Narikala fortress which sits on top of the hill in the middle of the old town, the Abanotubani (Sulphur baths district), cozy “Shardeni” area, Shafteli street, Sioni Cathderal and Anchistkhati Basilica. The tour will finish in the Rike park, where you will get by crossing the famous Tbilisi Bridge of Piece.